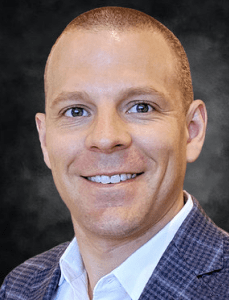 PHOENIX, Ariz. — Verra Mobility (NASDAQ: VRRM), a leading provider of tech-enabled smart transportation solutions, today announced the appointment of Mike McMillin as VP of corporate development and strategy. In this role, McMillin’s responsibilities will include the strategic development, implementation and expansion of the Verra Mobility footprint in the U.S. and internationally. McMillin joins Verra Mobility after more than a decade with HERE Technologies, where he most recently led the creation of the company’s global mergers and acquisitions function when HERE Technologies was divested from Nokia. He was also responsible for two strategic acquisitions and launched a corporate venture capital program. McMillin’s other roles at HERE Technologies included lengthy stints in the operations and product side of the business, creating new business models, and managing strategic initiatives to support product launches and acquisitions. He graduated from the University of Notre Dame, and earned an MBA from the University of Chicago Booth School of Business. Verra Mobility develops and uses the latest in technology and data intelligence to help make transportation safer and easier. As a global company, Verra Mobility sits at the center of the mobility ecosystem—one that brings together vehicles, devices, information and people to solve the most complex challenges faced by our customer and constituencies they serve.